Even many top pros and “good” riders often don’t really understand what they are doing on the bike in terms of functional movement, balance, vision, etc., much less being able to explain and articulate the processes and movements involved in riding the bike correctly. 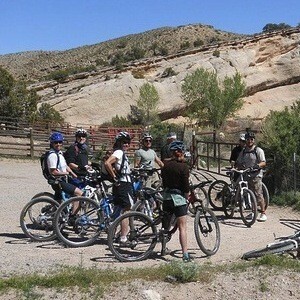 Mountain biking in tough terrain, where skills are essential to being safe and/or fast, is an athletic endeavor. And like any form of athletics, it needs to be treated as such if one wants to break it down to it’s simplest terms and necessary movements in order to determine what is relevant and important for success. Unfortunately, most riding advice (and a lot of formal MTB instruction) doesn’t take any of this into account. Much of my coaching is based on similar methods that are involved in teaching and learning traditional “stick and ball” sports. These sports are broken down to their simplest movements, practiced until these movements can be done properly, and then repeated until the technique is essentially automatic and default. 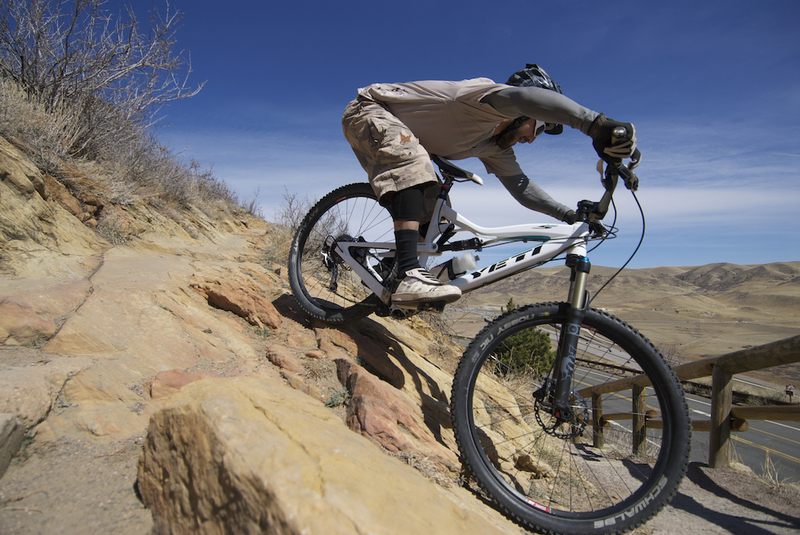 I deconstruct mountain bike riding, and teach it, in a very similar manner. It is also very important for me to understand and teach mountain bike riding based on real and relevant knowledge of how the human body works. For instance: how balance works; how vision works; how the body works in terms of power, stability, mobility, etc. I also look at how this works in regards to the bicycle itself and mountain bike equipment and design. 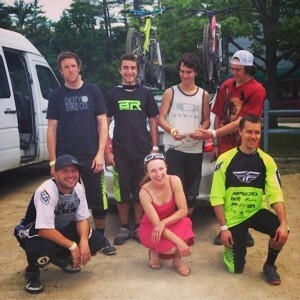 I draw heavily from motocross, which in terms of technique, has many similarities to riding mountain bikes and a much greater appreciation and understanding of coaching, teaching, and mentoring riders at all skill levels, then is currently present in MTB. I believe in keeping things as simple as possible with MTB skills instruction and thoroughly explaining the techniques and their benefits. What are our goals in any particular situation? Why do we need to do these things, on the bike, in this particular manner? How do we accomplish these goals? Which movements, positions, etc., are necessary. I teach students technique in controlled settings (easy sections of trail and/or in the parking lot on easy obstacles—even with pro-level racers) so that students can focus on the technique without being distracted or intimidated by the trail and it’s obstacles. Once students understand and can pull off the technique in these controlled settings, then it’s time to hit the trail and see how and where to apply these techniques in the “real world”. I believe that all mountain biking is about basics and “building blocks” even at the highest levels. I have taught thousands of satisfied students who consistently come away from my instruction stating that I break riding down, making it “conceptually simple” (this doesn’t mean it’s easy!) so that they can understand and identify proper technique and separate this from improper riding technique. It is also very important to me to be able to erase the question marks, mysteries, and myths that are common to riding mountain bikes. 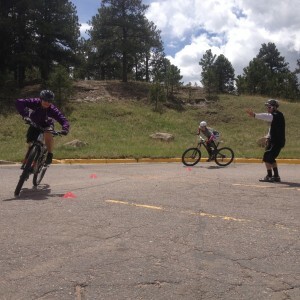 Students will also receive techniques, methods, and drills to continue to improve their riding after instruction.